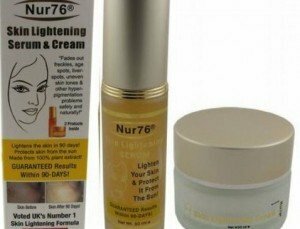 Natural skin bleaching products are safe to use even on people with sensitive skin. There is convenience in using homemade skin bleach using natural skin bleaching recipes. This makes how to bleach skin naturally easy and worth exploring. Going natural in skin treatments goes a long way in achieving desired results without having to undergo the risk of negative effects associated with manufactured products which may use harsh chemicals. 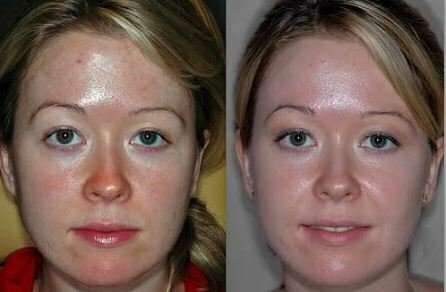 Natural skin bleaching is one option in getting an even toned skin. This though takes a longer time to show results when compared to other products. The ingredients used are low cost in nature, locally available and easy to use in making homemade skin bleach. For people with sensitive skin, this could be the answer to their skin worries as most ingredients are gentle enough on the skin. Lemon juice: This is the most used natural skin bleach. It can be used alone or mixed with other ingredients to make it stronger. To make a skin bleach using lemon juice, you will need to use it together with peeled cucumber slices and gram flour. Mix all the ingredients in a food processor or in a blender. This could also be done by mashing them. Add five tablespoons of salt and sugar each. These are important in making the mixture last longer. You can skip this step when making only enough for one time application. Pour the mixture into a sealable vessel and shake it up. Once satisfied that it is well mixed and consistent, clean your face and apply a thin layer of it on the skin. Leave it on for five minutes. You can refrigerate the rest. Sugar Scrub: This skin bleach is a unique one. It works by exfoliating the skin to reveal lighter and better skin underneath. Mix brown sugar with virgin oil. Use this to scrub your face. Orange peels: Fruits that have citric acid are good natural bleaches. Oranges also contain anti-oxidants which play a role in keeping the skin looking bright. Sun-dry orange peels and grind them to form some powder. You can use a blender for this. Add some fresh milk cream and mix until a consistent paste forms. Apply this on the skin and keep it on for ten minutes. Tomato pulp: This natural skin bleach makes use of tomato pulp and lime juice. Slice some tomato and blend it to get some tomato paste. Add a teaspoon of fresh lime juice and apply this on the desired area of treatment. This mixture is highly acidic and is bound to show results fast. Cucumber: To enhance its effectiveness, it can be used together with gram flour and lemon juice. Put gram flour in a mixing bowl. Grind some cucumber and add it to the flour. To this, add freshly extracted lemon juice. 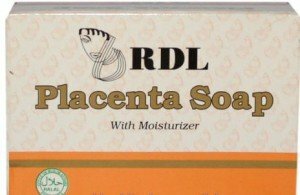 Mix these well and apply on the skin. Turmeric: This is as well a great skin bleaching product. Avoid using packaged turmeric and instead go for natural unprocessed turmeric. Grind this to make some fine powder. Once you have enough, add lemon juice to make a consistent paste. Apply this on the skin. The resulting discoloration should go away after a short while. Vinegar: This natural skin remedy can be used to bleach the skin as well. It is easy to use and all that is required is for you to soak a cotton ball in it. Use this to rub the remedy on the skin. Leave it on for ten minutes before washing off. Knowing what natural remedies can help in skin bleaching is one thing while knowing how to use them is another. Normally, when the natural skin bleaching ingredients are used in combination they tend to work faster than when used alone. It is important to know how to go ahead with the combinations as well as the amounts to use. This will go a long way in improving the efficacy of the remedies. Natural skin bleaching recipes are of great aid in this. They give detailed instructions through a step by step set of instructions. 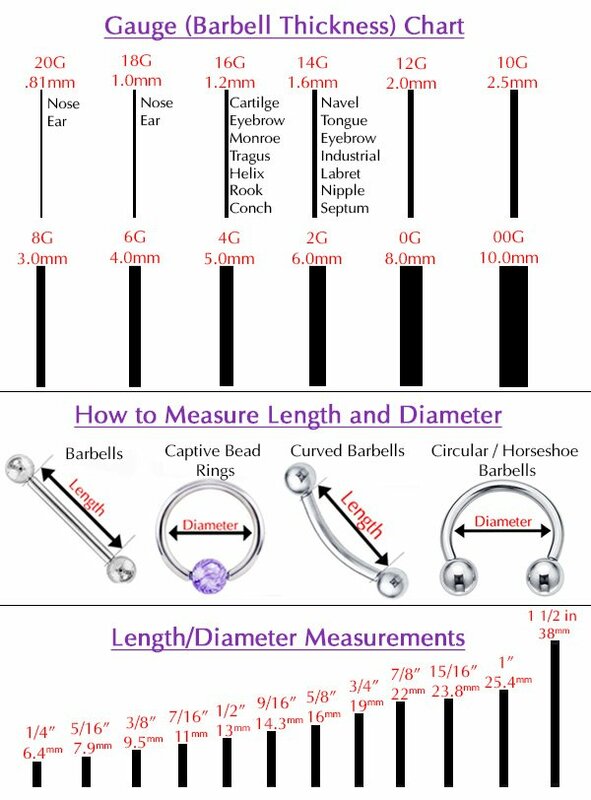 These are available online and are most important for starters. When it comes to choosing creams, natural skin bleaching products are the best. These skip the use of harsh chemicals to gradually bleach your skin without subjecting it to ingredients that may be harmful to your health. They help to fade spots and blemishes as well as get rid of impurities that may be affecting the skin’s appearance. Some of them are meant to be left on the skin while there are others that are meant to be washed off after sometime. The best way to attain desired results is by following the manufacturer instructions that come with the package. One such natural cream is concha Nacar de Perlop Natural Bleach Cream. It is available online. Other than creams, there are other products that could work well in natural skin bleaching. Skin Whitening Forever is a bleaching product that comes in the form of a software program. It offers guidance to its users on how to make use of readily available remedies to attain a lighter skin. 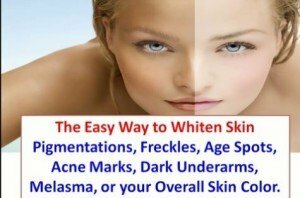 There are a number of options on how to naturally bleach skin from which one can pick from. Although these work, they take longer than other products. One therefore has to remain faithful to the bleaching regimen as well as give it time to work. To attain great results, ensure you cleanse your face before using the bleach this will enhance absorption. Also try to use the remedies in their most natural forms. Avoid processed products as much as you can. If after a prolonged period of correct use no changes are seen, discontinue usage and try something else. Different natural skin bleaching products contain different bleaching agents. Arbutin from mulberry and kojic acid from mushrooms are some of the available bleaching agents. These have demonstrated their effectiveness in this process. Lemon juice contains citric acid which is also a great natural skin lightening agent. This though is best used in low concentrations to avoid irritating the skin. Licorice is also used as a bleaching agent. For black skinned people willing to naturally bleach there skin, it is worth noting that this may take longer than light skinned people. This can be attributed to the fact that there is more melanin in their skin. The results achieved may also differ but the bleach will alter the skin tone to a few shades lighter.